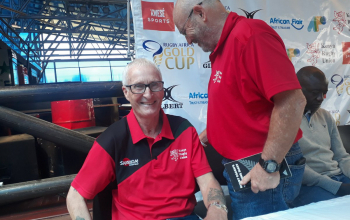 Kenya Simbas came from behind to beat Zimbabwe 45-36 in their second match of the 2018 Africa Gold Cup at RFUEA Grounds on Saturday June 30. Kenya had taken a 33-17 lead at the break but the Sables overturned the score to lead for a better part of the second half. Skipper Davies Chenge scored three tries for Kenya with winger Tony Onyango also getting on the score-sheet. 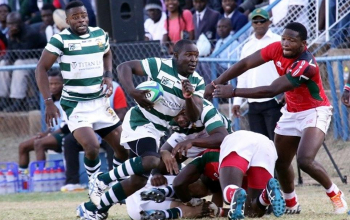 Zimbabwe captain, Denford Mutamangira, who won his 50th cap in this match, joined Fortunate Chipendo, Farai Mudariki, David Makanda and Mathew Mchivab in crossing over the tries. Dalmus Chituyi scored the all important tries in the closing stages for Kenya to bag the win. 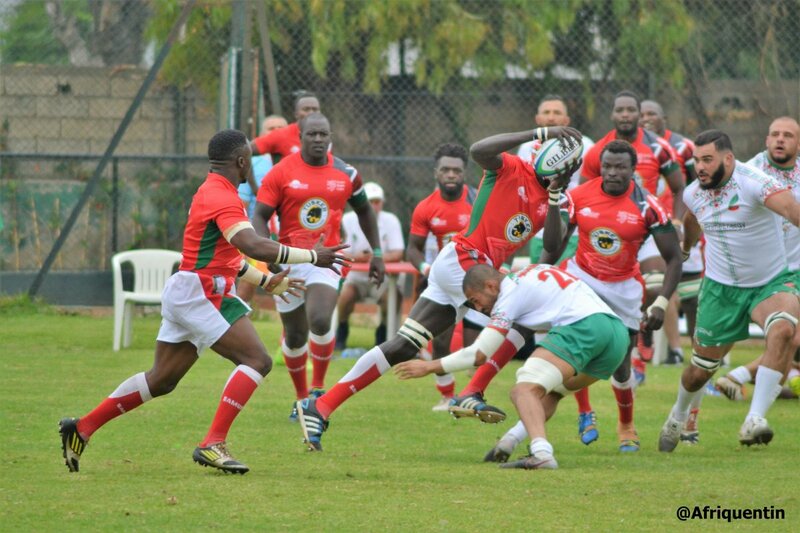 From the win, Kenya bags four points to stay second with eight, two behind Namibia who have also played two matches. Kenya scrum-half Samson Onsomu was named the man of the match. 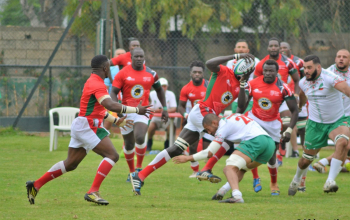 Kenya scored six tries, a penalty try and four conversions against Zimbabwe's five tries and one penalty try as well as two conversions. 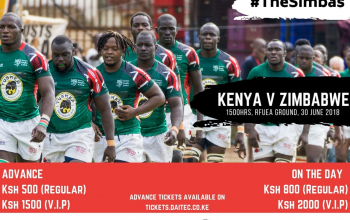 Kenya's next match is against Uganda on July 7 as Zimbabwe travels to Tunisia.